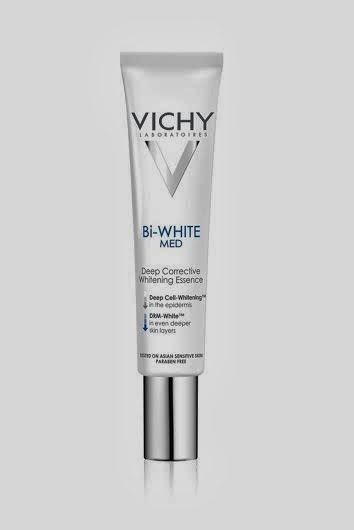 The Vichy Bi-White Med Deep Corrective Whitening Essence is a skin lightening breakthrough with its Ceramide White™ + LHA to act in every single layer of the epidermis and DRM-WhiteTM Technology to target the second layer of the skin – The dermis layer. Optimally concentrated Ceramide White™ repairs cells in every single layer of the epidermis by acting at the root of melanin production. 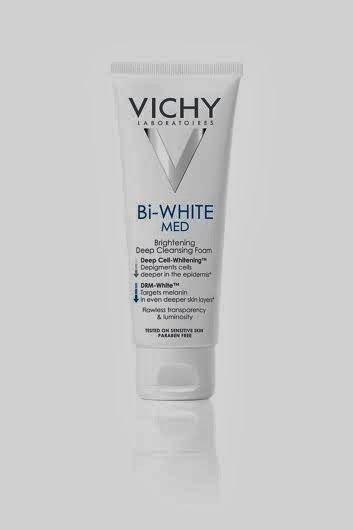 The combination accelerates the cell renewal process so as to prevent the appearance of new complexion flaws and correct existing ones.